A near total eclipse was seen across Europe on May 18, 1920, the day he was born in Poland. And on April 8, 2005, the day of the Pope’s funeral, a partial solar eclipse blotted out most of the sun and darkened a wide area of the world, from the South Pacific to the Western Hemisphere. For the next Pope, Benedict XVI, St. Malachy wrote: “Glory of the olive.” Before the Pope was selected, some suggested a Benedictine would be elected because the order is sometimes referred to as the Olivetans, whose name ultimately derives from the Mount of Olives in the New Testament. A Benedictine was not selected. However, upon his election as pontiff, Cardinal Joseph Ratzinger chose the name Benedict after St. Benedict of Nursia, founder of the Benedictine Order. 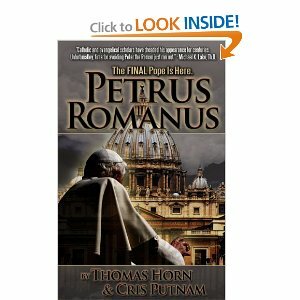 Some believe the prophecy could foretell the destruction of the Church, or the world, and play into Christian prophecy as revealed in the book of Revelation which suggests a final battle between good and evil. St. Malachy’s prophecies were first published in 1595 by a Benedictine historian. According to a traditional account, Malachy was summoned to Rome by Pope Innocent II in 1139, and while there he purportedly experienced a vision of future Popes. He recorded the vision in his cryptic phrases and this manuscript was left in an archive and forgotten until its rediscovery in 1590. … and then you’ll know a little more about the real ‘pagan lunatics’. Wow, we follow prophecies that we force to be accurate in our minds. Jesus said nothing will prevail against the church. False prophets seem to suggest otherwise.